Hello everybody! Its Wabbita! I know everybody got this box already but I will put it in my blog anyway. So this is my sixth Memebox unboxing and this is a bit different than the other previous boxes that i have ordered from the past months. This time I purchased a Memebox Collaboration Box! Every month is different box and different person and for the September they released this box and Memebox team up with Youtube beauty guru Beauty Splurge with Lisa Pullano. I am not really familiar with her channel but when I saw her videos about this box on youtube I just have to get it! I really liked how she talked about each product she picked and she also did a little demo on how to use each product that included in this box. In case you want to know about Memebox or collaboration box and for more information click here. Please check out Beauty Splurge with Lisa M. Pullano's channel which I think is very cool she not only do videos about makeup and beauty but she also do a lot of DIY and I think her channel is very interesting,fun to watch and amazing so please click here and check her youtube channel. If you want to see my previous Memebox unboxing click here. These are the Items all together! There are seven items in this box and all them are full sized items. So lets start this unboxing! The packaging of this lip balm is very cute and adorable in my opinion and I got the pineapple one :) They have other kinds of flavored lip balm like strawberry, green apple, grape and love chocolate. I like lip balm because sometimes its clear and you can carry it anywhere and use it whenever you feel like you need to moisturize your lip specially now that is getting colder you don't want a cracked dry lip so it is very important to a lip balm anywhere. I really like this one. 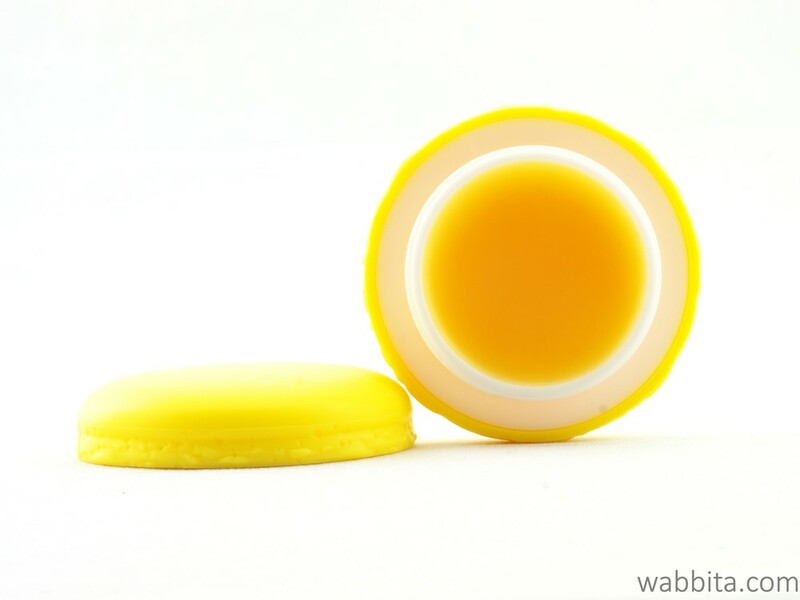 Product Description : Keep your lips healthy and soft with this incredibly adorable macaroon lip balm series containing 5 different fruity flavors - strawberry, apple, grape, pineapple, and chocolate! It smells delightful, and its formulated with vitamins, natural shea butter and cocoa butter, for keeping your lips moist and supple all day. How to use : Apply to your lips whenever they feel dry. Again the packaging of this blush is so cute and I love cute things. It also comes with different shades like 01 Lovely Pink, 02 Pure Lavender, 04 Sweet Peach, 05 Shading Brown. I got the 02 Pure Lavender and the size of it is very small that you can just put it in your purse carry it anywhere and use it whenever you need a re touch, It is a travel friendly item. I never own a lavender color shade before but I am excited to try this blush. Product Description : This cute blusher comes in four wearable shades - pink, lavender, peach, and brown - and instantly adds a color to the apples of your cheeks. How to use : Use the puff to add color to the apples of your cheeks. Product Description : Hope Girls Milky Balm is the ultimate creamy smooth long lasting lipstick that stays put for up to 10 hours! Get famously beautiful lips that stand out from the crowd with these gorgeous lip colors packed with Vitamin E. Its guaranteed to keep your lips feeling smooth and looking marvelous every second of the day! Plus, how can you resist this perfectly cute packaging? How to use : Wear with gloss for added shine, or alone for creamy red finish. I fell in love with the packaging of this nail polish! It is so adorable and it has a little flower that you can remove or leave like that to look even more cuter. The nail polish dried very quickly and one coat worked for me and the brush is very wide and easy to use. I will definitely try more colors from this brand. 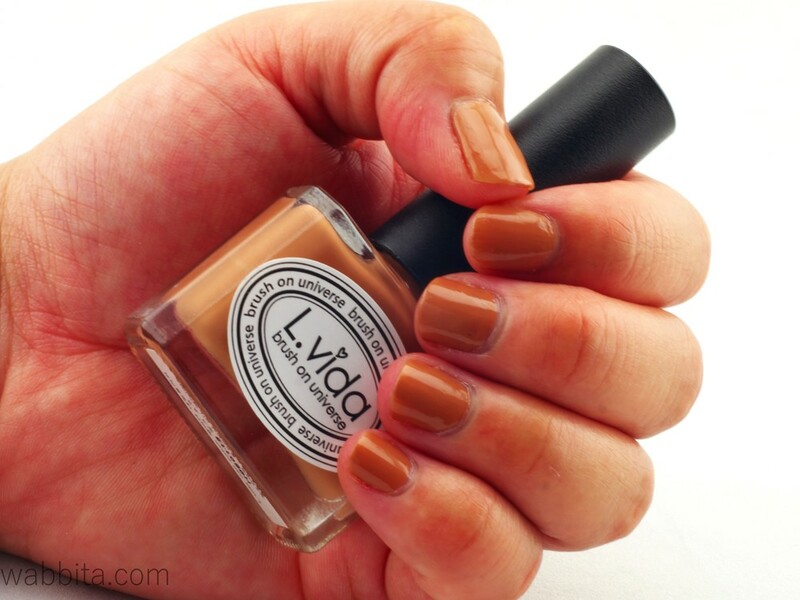 Product Description : Love your nails with L.Vida's bright,beautiful nail polish color that last. This collection is formulated with a unique combination of resins and waxes that provide fast drying, long-wear shine. Get high coverage in stroke, from classic must-have shades to vibrant, fashion-forward hues. How to use : On clean and filed nails, apply a base coat. Then, using the nail polish color of your choice, place the brush at the base of the nail and spread the polish to the tip of the nail. Apply multiple coats if necessary. Wait a few minutes until the nail polish has dried, and finally add a clear top coat for a longer-lasting wear. The packaging is simple nothing fancy and I think is a good size jar. I actually got another one of this from my previous box. I used it a couple times and the texture is thick it is kind of sticky and when you put it on your face you will feel heat not that too much like you will burn your skin but you will feel like heat sensation on your face. It makes your skin really soft after you wash it water.. Since I only used it a couple times I cant say that much If it really makes your skin brighter, It does make your skin softer. I will continue using this product and see If it does make my skin brighter. Product Description : This formula was clinically developed to help fight all common skin concerns including breakouts, excessive sebum, black and white heads and ingrown hair. Enriched with strawberry, raspberry, blueberry, and acai berry extracts, It also delivers intensive nourishment deep down into dermal layer. Upon application, It gradually raises the skin temperature up to 36.5 Celsius to open up pores and visibly draws out dirt and congestion to dramatically brightens and softens skin. How to use : After cleansing the skin, apply a thick layer of the cream onto the skin. Wait 10-15 minutes and you will feel a slight warm tingle across your skin. Thoroughly rinse with lukewarm water. The swatch of this gel eyeliner is located above with the balm lipstick swatch. I was so excited when I saw this gel liner because i never really used or try a gel liner before, and I am amazed, impressed by the this one :) It glides on so smooth and it wont go anywhere, very long lasting and I really liked it overall. I will definitely try more color of this brand. So happy about this one. By the way I got the color #05 Maple Syrup. Product Description : Create captivating eyes with the best F/W colors selected from the Makeon's Mermaid Waterproof Gel Eyeliner series. Long lasting, waterproof and ultra smooth, this gel eyeliner makes lining your eyes like a pro. For a smokey, dramatic look, it ca also double as softly spreadable eye shadow. How to use : After applying base makeup and mascara, gently remove oiliness around your eyes with a powder pact. Apply eyeliner according to preference. Allow to dry for a few seconds without blinking. It can also be use as an eye shadow: smudge with your finger or a shadow brush for a desired effect. This jar really big and very expensive in my opinion.The packaging is really nice and very expensive looking. There was a little issue about this cream, I saw one beauty blogger posted the picture of this cream and said that this one will expire soon like in a couple months so I immediately check this jar noticed that it will expire in a couple months, And I contacted Memebox staff about it ,they didn't send me new jar of this cream but instead they gave me 8 Memepoints that I can use in my future Memebox purchase and I keep the cream so I am not really complaining about that since they gave points and keep the cream. Thank you to the beauty blogger who posted the picture on instagram I am sorry I don't even remember your intagram name :( I wish that I can keep this cream a little longer because i still have some cream that I am still using from my previous box but since this one will expire soon I have no choice but to open it soon too. Product Description : This buttery textured Ultra Power Z Cream is a nourishing cream fir to be used by even the driest and most sensitive skin types during the fall and winter seasons. Ranked number 1 in the Beauty Keyword Super Cream category, it boosts over 100 hrs to deeply moisturized, glowing skin. Plus, its enriched with argan tree kernel oil, olive oil, rosehip oil, and onagri oil, while its completely free or paraben, artificial coloring, mineral oil, artificial fragrane, talc, benzophenone, alcohol,etc. My very first Collaboration box was a really good box! I really liked everything from the nail polish, lip balm, steam pack, blush, balm lipstick, face cream and specially the gel eyeliner I was so impressed maybe because I have never used a gel liner that worked really well like this before but this one is really amazing. This box cost $23 + Shipping, the total value of this box is about $140! And everything I got from this were full sized items, Just the face cream itself cost $46 ! That was more than the price I paid for this box! And every item is very worth it in my opinion, The only downside, Is that the face cream will expire soon but other than that I love everything!Good job Lisa M. Pullano on picking the items of this collaboration box :) I recommend this box to everybody! If you guys want to check about Memebox or want to purchase anything click here! 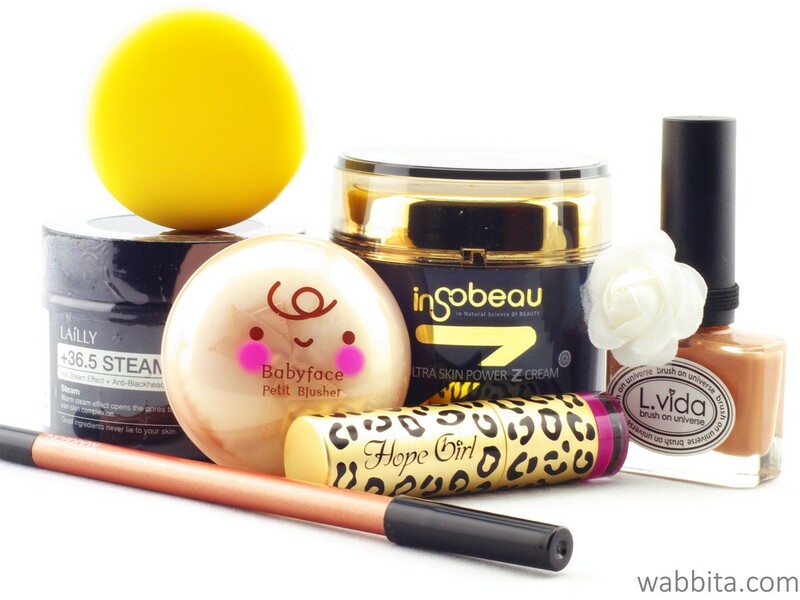 I recommend Memebox because it is way better compare to the other beauty box you can find out there! One thing about Memebox is Its not a monthly beauty box thing like the other beauty boxes.You have the control whether you want to purchase a box or not, you pick, purchase anything and anytime you want and the total value of the items you get is more that you pay for the box you purchase! Try one and I promise you, You will not regret it :) So click here and check it out! Thank you so much for reading my blog! I hope you really enjoy this one :) Please follow me on my social media! Facebook,Twitter and Instagram.Please like and share this to your friends! And leave some comments below if you like this collaboration box or what item do you like in this box? Please feel free to contact me wabbita@wabbita.com.